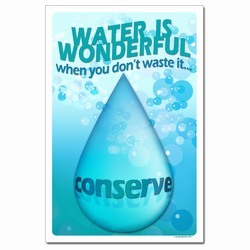 Theme: An image of the earth with water pouring from it reminds us that water can be wasted in a number of ways. 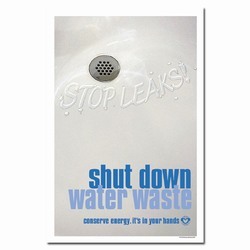 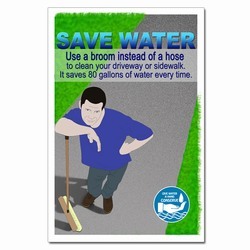 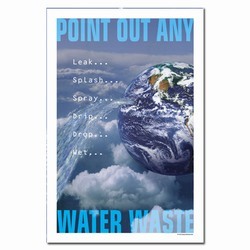 Message: "Point out any water waste. 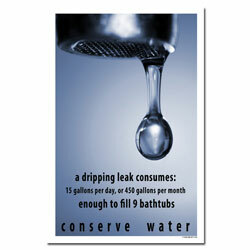 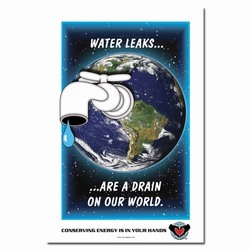 Leak, splash, spray, drip, drop, wet..."